We have plenty of cheap car rental Beauvais variants for you! Fill in a short reservation form to get the best car rental Beauvais deal! Dedicated customer service, the most reliable car rental companies, instant Beauvais car rental comparison online and only the lowest car rental prices for you on RentalCars24h.com! Add info to the form and we’ll find you a perfect vehicle in few seconds – book it online and your car will be waiting for you at car rental Beauvais location. 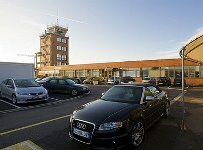 See all Beauvais car rental locations available, check the information about the roads’ features in Car Rental Beauvais – Must Know and go sightseeing using the list of Places to Visit in Beauvais! Beauvais is a city with two thousand years of history. It is a traditional French medieval town with a Gothic cathedral in the center. It is also famous for its wallpaper manufactory which has more than three centuries. Beauvais was heavily damaged during World War II and then rebuilt. The town is widely known for its imposing Cathedral of Saint-Pierre (XIII-XVI centuries), the church of Saint-Etienne (XVII century), the National “Tapiseri” Gallery of tapestries behind the cathedral and “Departamental” museum dedicated to local art, history and archeology. Drivers who are going to travel a lot in the countryside and make trips from one city to another should take care of getting a car with GPS-navigator. The fact is that traffic signs are not on the right places even on the most popular routes. All types of roads have their speed limits. In cities you must drive not faster than 50 km/h, in the countryside – not more than 90 km/h, and you can speed up to 110 km/h on the highways. 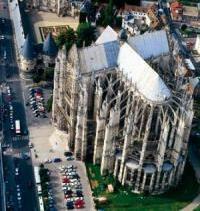 Take advantage of your Beauvais car rental vehicle to see the highest of the French Gothic cathedrals! 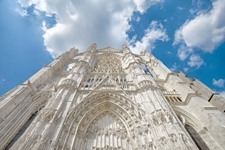 Beauvais Cathedral is a prominent construction in the history of Gothic architecture. It has the highest Gothic choruses in the world (48.50 m)! The temple complex consists of late transept (XVI century), the choir with apse and seven polygonal chapel apses of XIII century. 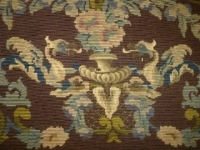 Tapiseri Gallery is a collection of antique tapestries. It’s a place to wonder how these medieval people deprived of our modern technology were able to create these paintings, woven from threads. It's just a miracle! Use your car rental vehicle to go to see tapestry miracles to the Gallery. 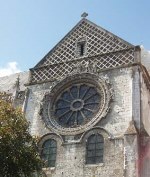 The museum is located in the old episcopal palace of the 14th century near the Cathedral of Saint-Pierre. The museum houses a rich collection of wooden and stone sculptures from the Middle Ages, paintings from the Renaissance to the present day, unique furniture and ceramics. It is open every day except Tuesdays and public holidays. Saint-Etienne church was built on the site of an ancient church. Construction of the church began in the 12th century and was completed with the construction of the bell tower in the 17th century. The church is built in the Romanesque style and contains some stained glass of 16 century. You can visit this place for free; it’s opened to the public every day. Drive your car rental vehicle to St Etienne church and take some beautiful photos there! RentalCars24h.com offers you reliable car rental Beauvais services that will help you to feel free and independent when moving around the town. Providing best online prices for car hire Beauvais services, RentalCars24h.com allows you to save money each time when you rent a car in Beauvais.